In his TEDTalk, Dr. Brian Goldman provides an intimate portrait of medical error, recounting his own with deep emotion. My inclination is to look at the same issue from greater altitude -- like that of a 747 in flight. Dr. Goldman compares the performance of clinicians to baseball players, noting that even a "legendary" batting average in baseball would make for a dismal cardiothoracic surgeon. My inclination is to look at medicine as a team sport; teams get hits even when individual players do not. In my view, one of the salient reasons for highly prevalent medical error and attendant iatrogenic harm is medical expertise. So much so, in fact, that I am inclined to coin a neologism: medical "ERRORudition." Error, born of erudition. That may sound oxymoronic, give or take the "oxy," but it's true just the same. The problem pertains to that infamous tendency to miss the forest for the trees, and to overlook the elephant in the room. In "The Blind Men and the Elephant," an Indian parable of antique vintage most indelibly rendered as a poem by John Godfrey Saxe in the mid-19th century, six blind men set out to satisfy their curiosity about the titular beast. Inevitably, each takes hold of some small patch of anatomy, from tail to tusk to ear, and each reaches a distinct conclusion about the nature of the animal. As Saxe notes in his conclusion, "each was partly in the right, and all were in the wrong." Dr. Goldman's apparent empathy would seem the antidote, if not the antithesis, of errorudition -- but I'm not so sure. 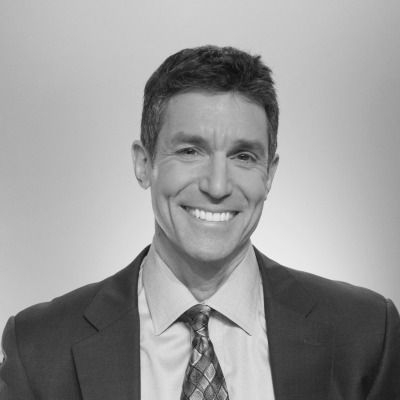 The two salient illustrations of his own fallibility Dr. Goldman shares involve sending patients home from the emergency room who went on to get worse rather than better, and in one case -- to die. Dr. Goldman suggests we own up to such mistakes, and learn from them each time. But is that really enough? Is that enough when lives are on the line? Is it enough when medical errors constitute a leading cause of death nationally? Would it be enough for the pilots of 747s? I would argue that doctors can be fallible prognosticators, and still protect patients -- just by seeing them, past their body parts and pathologies. When sending home a patient after treatment for congestive heart failure, the issue is not just the status of the heart failure -- but of the person. Do they live alone? If things get worse instead of better, can they get back safely before a true calamity? Do they have social support? Transportation? We can all accept that any given doctor might make the wrong call about a condition -- predicting it will improve, only to have it worsen. Modern medical technology is impressive, but has yet to devise a working crystal ball. But we don't need one to note whether a patient has friends or family, or a car. The only way to make errors about such considerations is to ignore them altogether. And that's not acceptable -- ever. What is left out of Dr. Goldman's talk, and medical education in general, is a standard set of criteria used to determine when it's safe for a patient to go home and when it's not, based not just on the condition, but on the person and their circumstances. Despite the fact that doctors make decisions about admitting and discharging patients every day, I have never encountered standard criteria pertaining to both condition and context on which such decisions should be based. I devised my own, and in my years as a medical educator, shared them with my charges. Applying such considerations, the very same condition might allow for one patient's discharge, but require hospitalization in another living alone, or without transportation, or too far from the hospital to get back in time if things got worse instead of better. We doctors are fallible -- irrefutably so. But so are the pilots of 747s, and we nonetheless expect those babies to make it back safely damn near every time. When lives are at stake, the way the system works must compensate for human fallibility. In medicine, one of the best ways to prevent fallibility from turning fatal is for care to be more about people than pathology. There was a time when medicine was all, and only, about the patient in the room. There was relatively little science to call on, little relevant erudition -- and thus generous doses of attentive compassion were de rigueur. Doctors knew the social circumstances of their patients well, if understanding the pathophysiology less so. This history is far from ancient. My father is a cardiologist, and in the early days of his on-going career, the care of myocardial infarction constituted little more than token drugs for comfort, tincture of time, and hand-holding. Now, of course, balloon-tipped catheters are threaded into the coronary arteries to restore flow and abort infarctions. Drug-eluting stents made of high-tech alloys are expanded into those arteries to maintain flow and prevent re-occlusion. It is at most a modest exaggeration to suggest that the care of MI has advanced as much in the past several decades as in all the centuries between them and our first recognition of it. To one degree or another, similarly dizzying progress characterizes medicine at large. And that's good, but it's also bad. Dizzying progress makes for dizzy people. Profound insights inculcate their own particular brand of blindness. The greater the magnifying capacity of a microscope lens, the smaller the part that fits into the field of scrutiny. Patients, let alone families, may be too big to see. And that, then, is where we find ourselves. Ever more right about the parts, ever more wrong about the whole. There is a macabre joke about the blindness of modern medicine's reductionistic erudition, and you have likely heard it: "The operation was a great success. Unfortunately, the patient died." That would be a whole lot funnier if it weren't so close to a perilous truth. It may well be that only a tiny part of any given elephant fits in a surgical field, or under a microscope. But if we are to care for our patients and not just body parts -- if we are to eliminate the error from modern erudition -- if we are to pre-empt the fatal consequences of inescapable fallibility, we must, even in the 21st century, see past parts to the whole elephant. Or, at least, see the patient in the room. Ideas are not set in stone. When exposed to thoughtful people, they morph and adapt into their most potent form. TED Weekends will highlight some of today's most intriguing ideas and allow them to develop in real time through your voice! Tweet #TEDWeekends to share your perspective or email tedweekends@hufﬁngtonpost.com to learn about future weekend's ideas to contribute as a writer.